For Chinese filmmaker Jia Zhangke, the role of a deputy to the National People’s Congress has given him a wider horizon, and an even deeper understanding of people and society. Jia, an essential figure in China’s “sixth generation” of filmmakers and one of the country’s most inventive and engaged directors, has also found similarities between filmmaking and working as a lawmaker. A native of Linfen, Shanxi province, Jia has long concerned himself with the effect of enormous social and economic forces on the experiences of individuals. 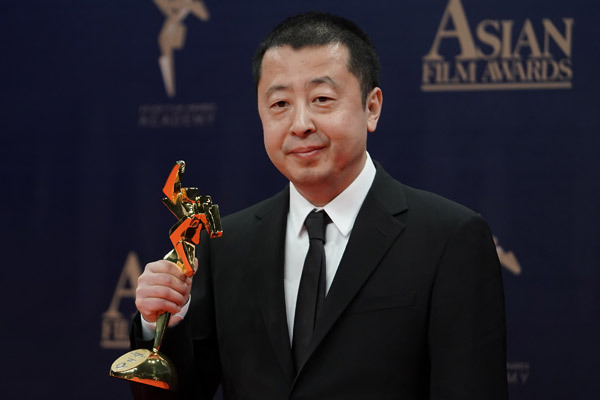 He has garnered numerous international awards and critical acclaim for a number of his films over the past 10 years with works including Mountains May Depart, Still Life, and A Touch Of Sin. “As an NPC deputy, you should also focus on the public livelihood, stay in close touch with the people in the grassroots and make their voices heard,” he said. The role of a lawmaker, he said, is not only about the annual NPC session held in March each year. “It lies more in your research trips during your daily jobs and about the industry as a whole. You also assume your duty in your everyday life,” he said. Last year, the 49-year-old was elected as an NPC deputy representing his home province of Shanxi, where he found the inspiration and shot his first films, including Xiao Wu, his award-winning student feature about a pickpocket. Jia’s latest enthralling feature, Ash Is Purest White, is also set in the coal city of Datong in Shanxi province. The film grossed box-office takings of about 70 million yuan ($10.4 million), a record for his movies. He owed the success of the film, he said, to an increasingly diversified film market and a phenomenal increase in the number of screens. “I think a film market that is more sensible and diversified is taking shape, which is what we have been longing for,” he said. However, Jia also expressed worries that a small number of blockbusters dominated the box office last year. He noted that the domestic box office exceeded 60 billion yuan in 2018, and about two dozen films took up more than half of that total. “That was an indicator that a very small number of films are gaining the recognition from audiences,” he said. It also implied that, he said, there are flaws with the creativity and techniques of movie production and the market. “It is important that everyone who takes part in the process of movie production tries their best to be on par with world-class standards. That is the only way that China can improve its level of filmmaking,” he said. 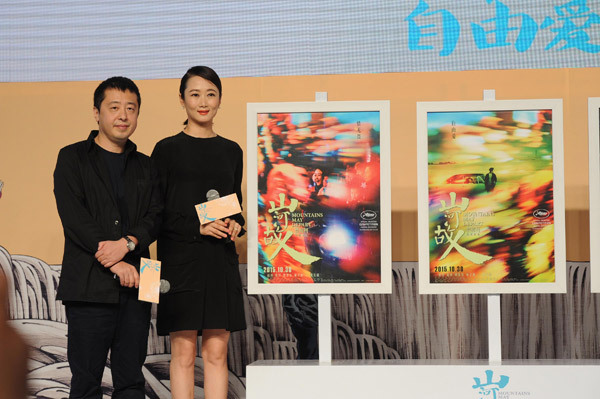 Jia has also played a key role in launching a film festival in Pingyao, Shanxi province in 2017. He said he hoped the film festival, which is set to be held for the third time this year, will help introduce more high-standard foreign films to Chinese audiences. As one of the few lawmakers representing the film industry, Jia has called for greater efforts to support the development of vocational education for the film industry during the legislative sessions this year. “There are various posts involved in filmmaking, such as cinematographers, sound designers, makeup artists, hairstylists. The level of Chinese filmmaking will surely improve if more vocational institutions dedicated to the art form can be established,” he said. He added that the artistic and technical merit of a film could not be achieved solely by a group of creators. Rather, it is built from each detail and each procedure of filmmaking. Jia also made an appeal to revise the copyright law to allow directors to become the copyright holders of films. “It is very common practice that film directors are the copyright holders of films in the West. It is important for directors because it would allow them to enjoy the dividends from the copyrights of films,” he said. Jia said that he is on course to write a screenplay, and there is a chance that another film will be put into production by the end of this year. Sun Ruisheng contributed to this story. Posted in Film, Politics	Bookmark the permalink.